Tacos, the ultimate grab-and-go meal are done near perfect in Nevada. If you’re craving an authentic taco, true Mexican flavor, one of Nevada’s many excellent taco places will do the trick. The state’s options range from the spice of a Tijuana classic to something more gourmet. 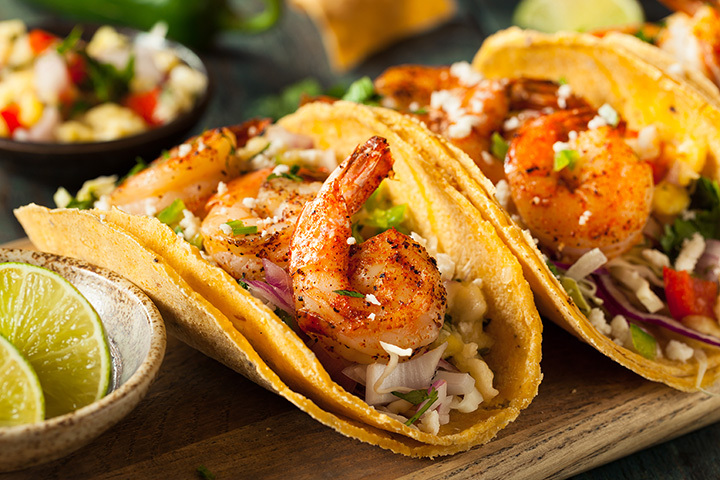 Take a taste of our top picks for tacos in Nevada! Beginning with fresh, handmade tortillas gets these tacos off to an amazing start. The recipe is a secret so it's not something you will find anywhere else. The taste is authentic, simple and memorable. This is what many people think of as a truly authentic taco. There is a reason Roberto's has been the go-to place for tacos for nearly five decades. The food is authentic, the portions are generous and the taste is amazing. A no-frills approach to some of the best Mexican food around is exactly what locals expect from the taco shop. Street tacos meet cool microbrews at this trendy spot in Vegas. The menu has both traditional and some unexpected tacos. The setting is somewhere many locals like to meet up with friends to share both a few beers and a few tacos. Fresh ingredients with California spin is what sets Wahoo's apart from other taco joints. Their signature fish tacos are made with the best quality ingredients. The menu includes options beyond fish tacos but the signature item is what keeps the customers loyal. Authentic classics made with the type of care you only get from everything being hand made. The prices are very reasonable and the tastes rival true tacos stands you may find south of the border. Their no frills menu offers simple, filling meals for the whole family. Fresh is the name of the game at this grill. Everything is prepared to order and made with a flair for crisp tastes combined with contrasting flavors. The menu focuses on authentic items dressed up with fresh local produce. Tacos are simply what they do best. No frills, a variety of fillings and made quickly. This is a lunch time favorite for many locals and they offer some things you won't find other places. They interesting addition of seafood to the menu makes things all the more interesting. Tijuana tacos at their best. This walk-up counter is known for serving customers authentic food they would normally have to cross the border for. These are street tacos the way they were meant to be enjoyed. The beach meets Mexican food in the middle of the desert. The fish tacos are splendid and the beachy vibe is relaxed. This is a fun and quirky spot many locals enjoy. They are a smaller chain through out the state. Grabbing an outdoor table any evening during the summer is a great idea at this local gem. The atmosphere is hip and the food is fresh. The focus is on what they do best, which is make a darn good taco. The fillings are often unique and a slightly different take on the street taco.